This is for the more advance preschoolers, and/or older kids. 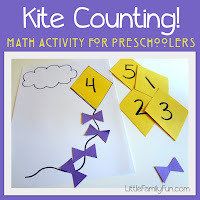 I did a few with LB(3), but he soon lost interest and just wanted to go back to counting. 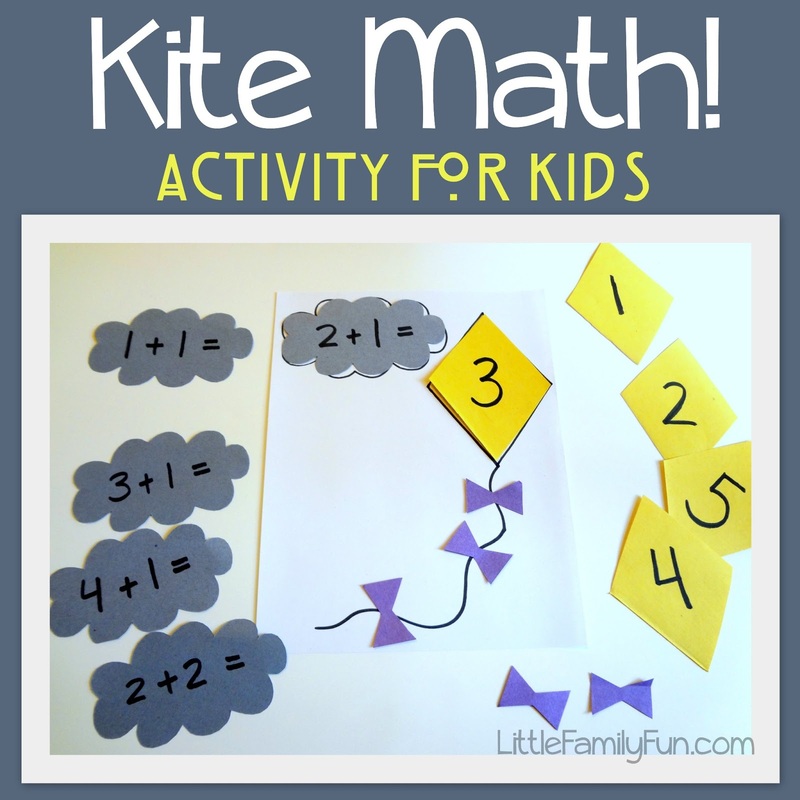 Create the Kite Counting activity as described in the post shown above. Then cut out some cloud shapes using blue construction paper. 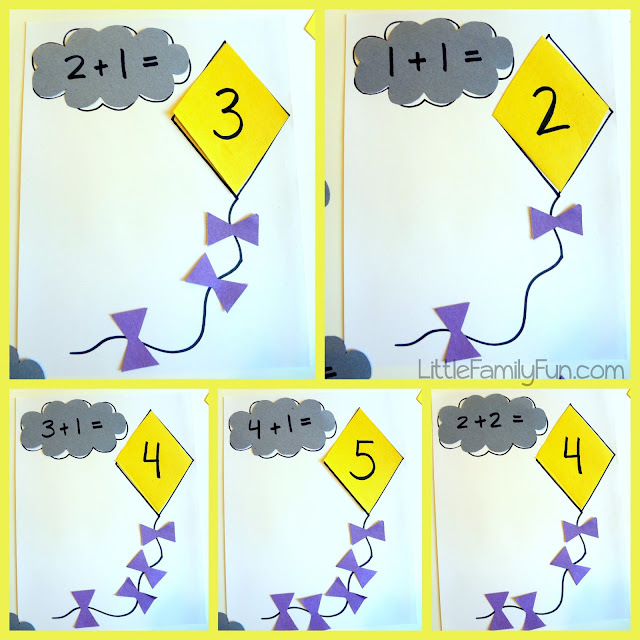 On each shape, write a math problem that equals one of the numbers 1-5. Place one of the clouds on the paper. This is a really cute and fun math idea!